Plot 5 is a 2 bedroom ground floor apartment located in the beautiful historic village of Woolstone. Great attention has been paid to the internal layouts with a good size open planned lounge/kitchen/diner (approx 25ft). Specification is of a high standard including fully integrated kitchen, granite work tops with integrated appliances, quality flooring throughout and fully tiled bathroom. Silverstone House is a stones throw away from Ouzel Valley Park, a grassy rural land that runs along side the River Ouzel with walking/cycling paths that lead to Willen Lake. Milton Keynes Train Station is approx 3.1 miles away as well as the Centre:MK which boast a variety of restaurants, shops and bars. These outstanding village location apartments are ideal for first time buyers with the Help To Buy scheme available with as little as 5% deposit (£12,500) or even a great opportunity for investment. Please note similar internal photos shown. Disclaimer - Property reference 13929847. The information displayed about this property comprises a property advertisement. Rightmove.co.uk makes no warranty as to the accuracy or completeness of the advertisement or any linked or associated information, and Rightmove has no control over the content. This property advertisement does not constitute property particulars. 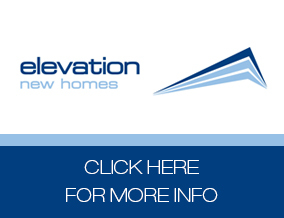 The information is provided and maintained by Elevation, Milton Keynes - New Homes. Please contact the selling agent or developer directly to obtain any information which may be available under the terms of The Energy Performance of Buildings (Certificates and Inspections) (England and Wales) Regulations 2007 or the Home Report if in relation to a residential property in Scotland.